All forms PDF format (download Adobe Reader to view). Hard copies are available from the Financial Aid Office, Moot Hall 230, or by e-mail. Financial Aid Timeline - Stay on track! How to Obtain your IRS Tax Return Transcript - Use one of 5 methods to obtain your tax return transcript. Loan Repayment Calculator - Estimate your loan payments before borrowing! If you need to submit an IRS Tax Return with your verificaiton materials, refer to the How to Obtain an IRS Tax Return Transcript Guide. Due to recent IRS changes to protect taxpayer data, tax transcripts will no longer include the full last name or the entire social security number. Students submitting a tax transcript (via fax, email, or in-person) must include their Last Name and Banner ID on each page of the tax transcript. Failure to comply with this important change may result in a significant delay in processing your verification and financial aid package. Summer and Fall Appeal Forms will be available soon! Students are strongly advised to always exhaust federal aid before applying for private loans. Students that do not submit a FAFSA and apply for a private loan, must complete Alternative Loan Counseling (below). Any organization "assisting the applicant in applying for and receiving Federal, State, local, or tribal assistance that is designated by the applicant to assist the applicant in applying for and receiving financial assistance for any component of the applicant's cost of attendance." Print your SUNY Award Letter from Banner: Your SUNY Award Letter displays all the awards are eligible to receive at Buffalo State and your Expected Family Contribution (EFC). Access the award letter under Financial Aid > Awards > View Aid for Aid Year > Select Appropriate Year > Accept Award Offer Tab. Print your Federal Student Aid Report (SAR): Obtain your SAR by logging in to the FAFSA website. Once logged in, you will see a link to View or Print Your SAR. The SAR summarizes everything you reported on the FAFSA. Note that if you used the IRS Data Retrieval Tool, data imported through this process is not displayed for privacy and security reasons.  ALERT: Effective July 1, 2018, Buffalo State is no longer permitted to participate in the GRE Fee Reduction Certificate Program. This is due to new guidelines released by the U.S. Department of Education. Students are encouraged to visit the GRE website for more information about the program and new process. Cross Registration allows full time undergraduate Buffalo State students to cross register for an additional course at another approved institution. Please see the Registrar’s Office for additional information. Graduate students may also be eligible under certain circumstances as well. Buffalo State students that are participating in a National Student Exchange Program or an International Exchange Program (approved by the Office of International Education) will have their eligible federal and state financial aid processed by Buffalo State. Students may only receive federal and state aid from one institution per semester. Once our office has been notified that you have been accepted into an approved program, we will notify your host institution by sending them a consortium agreement that you will receive your aid through Buffalo State. Please note it is the responsibility of the student to pay all charges accrued at the host institution. Buffalo State does not forward any aid on behalf of the student. The Visiting Student Program is managed by the Registrar's Office and students must complete the Request for Visiting Student Program Status form. This form ensures students take transferrable courses and that financial aid is coordinated between the two schools. Typically, only students with extenuating circumstances may utilize the Visiting Student program. Please contact the Registrar's Office for more information. Download the SUNY Fee Waiver Request Form and complete the Applicant Section in its entirety. Provide one of the following proofs of income. The first two pages of your Student Aid Report (SAR). This is emailed to you after you complete the FAFSA. The first two (2) pages of your IRS Form 1040, 1040A or 1040-EZ and your parent's forms, if you are a dependent student for federal aid purposes. Use the year which corresponds to the FAFSA data. Submit the Fee Waiver Request Form and supporting documentation to the address indicated on the application.